The following article is from the “New Teacher Bootcamp” archives from the site. Each article is meant to not only empower new teachers but to let them know they are not alone in their struggles. Join us each week for new articles dealing with everything a new teacher would want to know. 5. Praise your students absolutely whenever possible. Whether they’d ever admit it, students are desperate for your approval. Absolutely nothing works as well for classroom management as bulding students’ confidence in how you feel about them. Think about how often you receive actual, genuine praise. How much does it make your day when it does happen? Now imagine you are an insecure teen who rarely, if ever, has been complimented, not from home and certainly not in school. Find something every day–whether it’s “Thank you for being the first one ready for class!” to “Thanks for shutting the door for me–that was really helpful” to “Your essay is one I’d like to use as an example–is that okay?” Every little bit helps. Try this tomorrow: Find a moment at the begnning of class to pull your most troublesome student into the hall and give him or her a genuine, several-minute compliment. Re-enter the room and see how that student behaves for the rest of class. 6. When a student becomes defiant, always offer a choice. The last thing you want is a power struggle. Try this. Teacher: Please put your cell phone over on my desk. 8. Have frequent hallway conversations. The social pressures of middle and high school are staggering–stop for a minute and remember what it was like. No matter what you need to talk about, there is a gigantic difference between addressing a student in front of his or her peers and doing so in private. Sometimes it is important for your entire class to know you are addressing a misbehavior, but choose these battles and avoid conversing across a quiet, settled room. Calmly ask the student to step outside of the door. If the student is upset, finish what you are doing in the room, giving them a few minutes to cool down (or sweat it out for a few minutes!). Then, join them in the hall and shut the door keeping yourself in a position to look through the window at what’s going on in the room. A big tip: Let the student talk first. “What’s going on with you today?” is a good starter. Sometimes tears will come, and more often than not you will get the whole story (Hint: It’s probably not about you). Listen! Don’t interrupt. Stay calm. Use “I” statements and make clear why the behavior is unacceptable. Sometimes, that’s all you need to do. At other times, a consequence will have to be enacted that upsets the student, and that’s okay–just be glad you’re in the hallway. Sometimes I let the student take a walk and come back cooled off. 9. If you make a mistake, apologize. You want to be a firm, respectful authority in your classroom, but to keep students’ respect you need to admit it when you are wrong. If you realize that a student is upset with you for good reason, pull them into the hall and apologize. Reiterate that you expect their behavior to be respectful in return, but be sincere in your apology. This will often calm a situation and help a student see that you are just trying to do your best, too. 10. Don’t wait until next year to change something! Students are flexible, and understanding and respecting new expectations is good for them. If you liked an idea here, start doing it tomorrow. If it will make your classroom run more smoothly, help students learn more effectively and help you be more confident in yourself, why wait another day? If you liked an idea here, start doing it tomorrow. Consider earning an online masters in education to further learn the best classroom management strategies, and also be able to apply them in real time in your classroom. 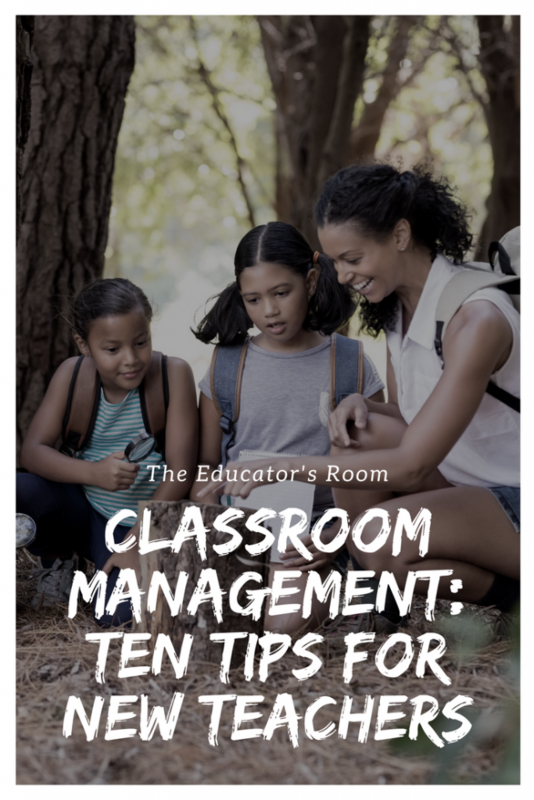 This was great advice on classroom management! The Teachers rarely if ever receive effective training on strategies to manage student behaviors which constantly interrupt teaching and learning! This lack of training creates chaos in the classroom! I train teachers in classroom strategies which decrease classroom disruptions while increasing time to teach. * protect the interests of those who are working and cooperating rather than catering to the troublemakers. * it's your room–the students are just passing through. Make the environment what you want it to be. from an 'old school' elementary veteran of 10 years: in an inner city system, defiance is common. choices are limited to two, which often are offered this way: " my choice or one that is less appealing". before that happens though, i usually ask the student to come up with a consequence of their own. that means they are accountable.